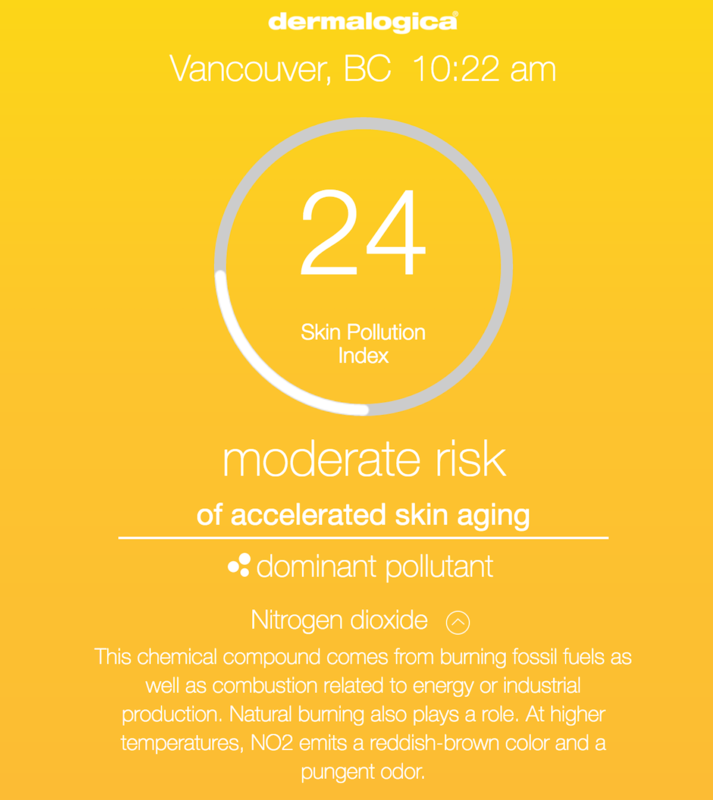 Do you need to have an anti-pollution skincare strategy? There has definitely been more awareness in recent years about the role pollution plays in our health and the quality of our skin. Did you know for instance that brown spots have been linked to the effects of pollution? This is one reason why we recommend the integration of an oil cleanser as part of a nightly routine. It’s THE most effective way to remove pollutants, makeup and excess oil which means less blackheads and smoother skin for you. Charcoal is a coveted skincare ingredient for its ability to absorb and remove impurities. 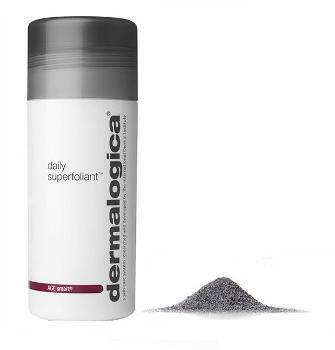 Dermalogica integrated this ingredient when they launched their wildly popular Charcoal Rescue Mask last year, and this month they introduced Daily Superfoliant. It’s powder format is reminiscent of Daily Microfoliant, but that’s where the similarities end. I’ve tried it and found that it offers a more potent exfoliation experience, but the main draw is the high quality charcoal (1 tsp. can absorb 10 000 square feet of impurities) alongside an anti-adherence complex that forms a protective mesh over the skin to protect the it from polluting agents. 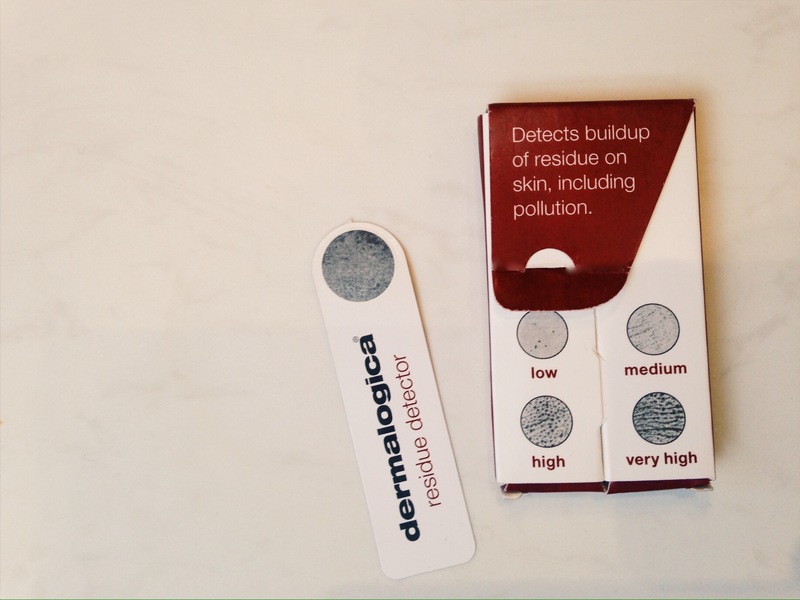 Dermalogica has teamed up with a third-party provider to help you track the pollution levels in your area. You can even see what the main sources of pollution are. Kind of scary, but it’s good motivation to not only step up your skincare practices, but think about how one can support eliminating these harmful substances from our environment. I held this residue strip against my skin for 30 seconds and the results show that in the West End and Yaletown neighbourhoods where I spend most of my time, I’m getting high levels of residue. Dermalogica certainly isn’t the only brand making anti-pollution part of their skincare line-up. Caudalie is about to launch a line dedicated to it, and Tata Harper’s Purfying Mask is touted to remove all the toxins the air has planted on your skin with its 23 non-synthetic ingredients. Whatever product you choose, integrating this focus into your routine is not just a passing trend, but an important step to improve your skin functions, relieve dullness and delay aging.